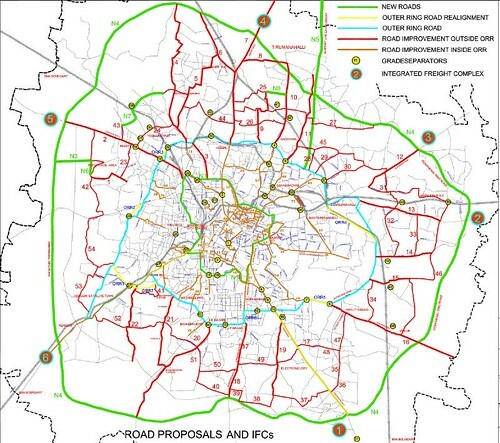 The present road network consists of the Ring Roads and major radial corridors. A number of proposals have already been very broadly included in the Master Plan 2015. In addition quite a few proposals are being implemented by Govt. agencies like NHAI, State PWD, BMC, BDA, BMRDA and BMICAPA along with the private sector through PPP model. It is necessary to integrate / superimpose all these proposals in the light of projected travel demand for road traffic and confirm that they are in conformity with each other and there is neither conflict nor duplication. As the radial road corridors are expected to have high traffic volume, these corridors have been proposed to be strengthened instead of isolated improvements. 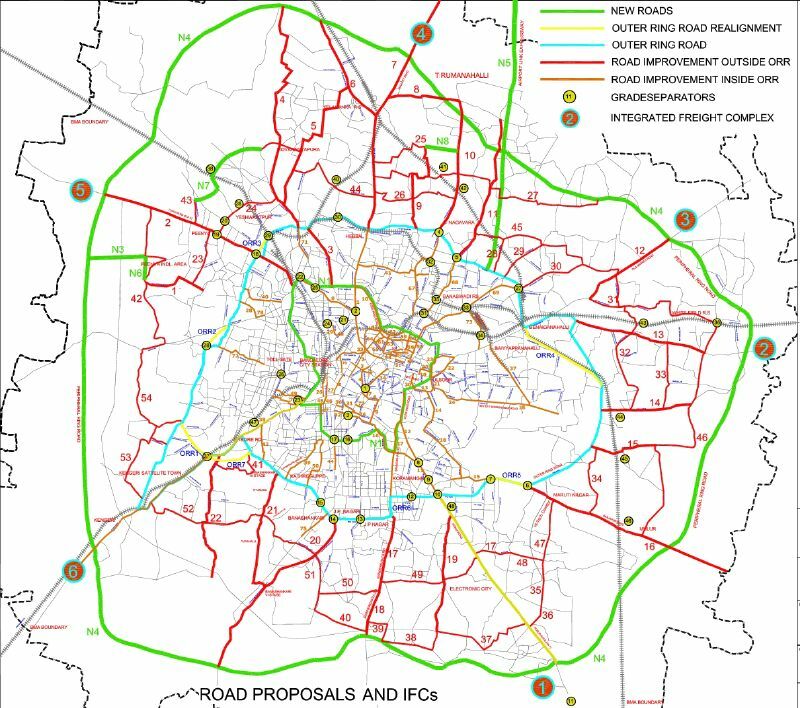 The road improvement proposals include road widening, new roads (bypasses and other roads), ORR realignment, grade separators (road flyovers, ROBs, RUBs), Integrated Freight Complexes etc. These proposals are explained below. See attachment for the rest of the section. (pdf 107.1kb).